No need to spend a fortune on gift tags this year! 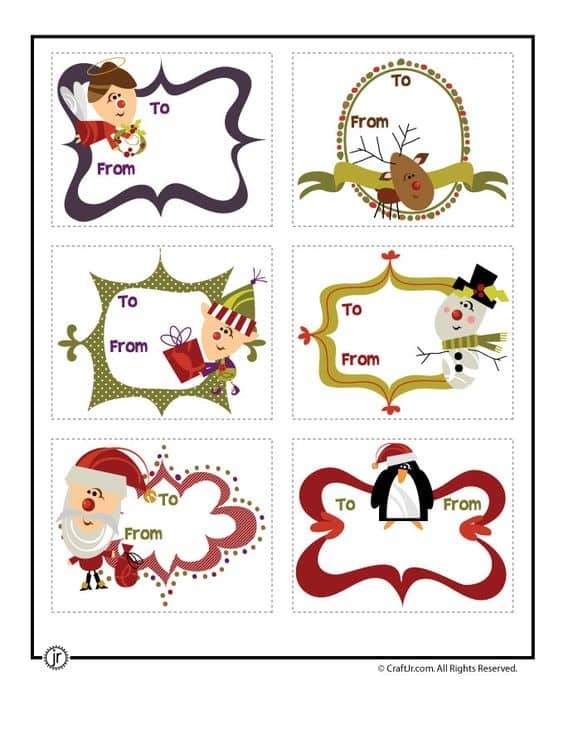 These adorable printable Christmas gift tags are free, and have more personality than store-bought ones. They’re the perfect accent to this year’s Christmas gifts! How adorable are these old-fashioned tags from Shanty 2 Chic? She’s designed 6 fun tags – they look darling on the kraft paper that she’s chosen. Your favorite movie lover is sure to appreciate these free gift tags that feature quotes from epic Christmas movies! 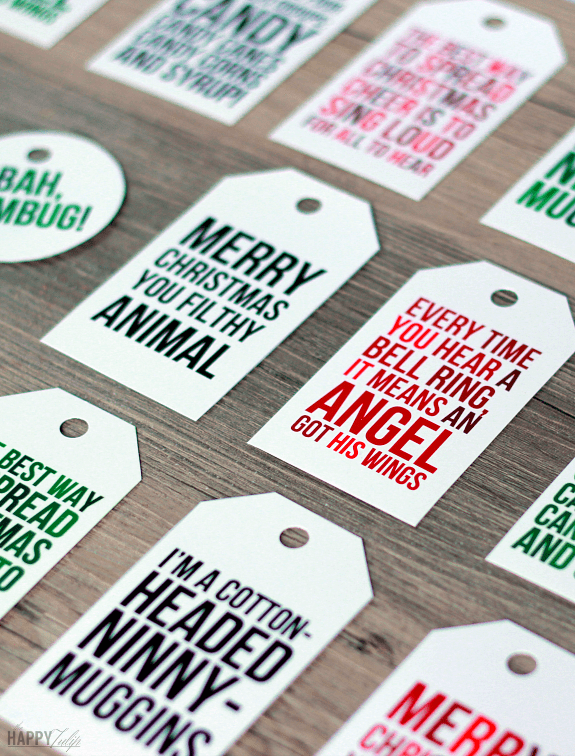 The tags are available in green, red or black font – so you can choose how much color to add to your gifts. 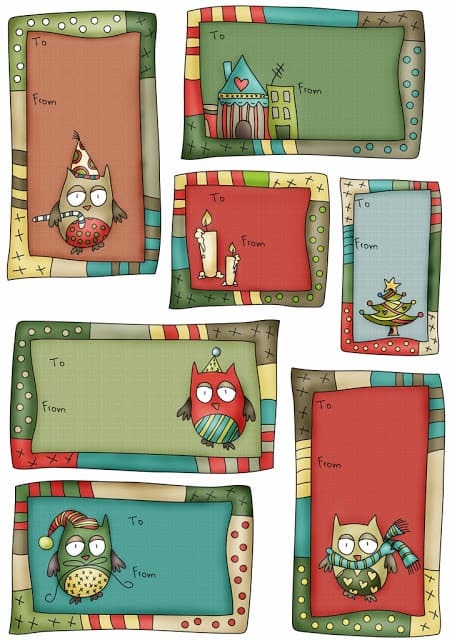 How fun are these whimsical owl-themed Christmas gift tags? They feature muted Christmas colors, so they’re a wonderful choice if you’re using softer colors on your wrapping paper. 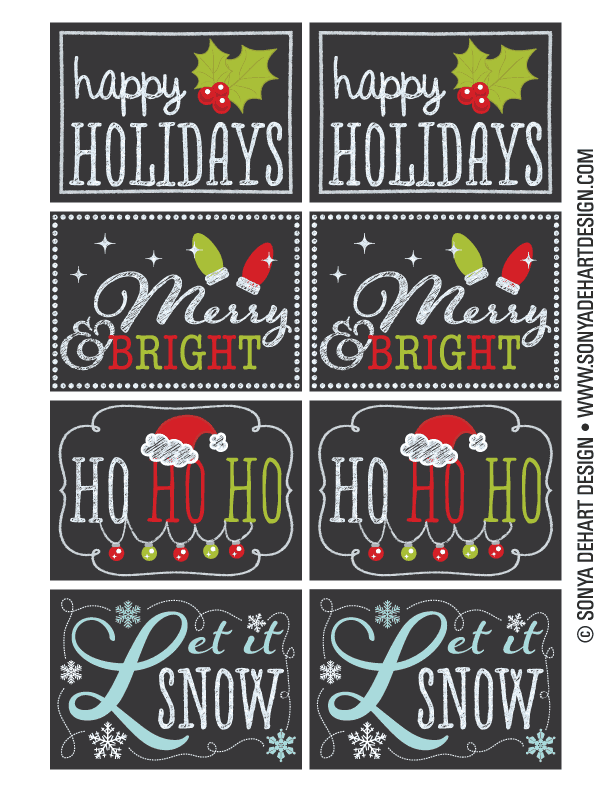 Trendy chalkboard gift tags are a fun accent to any gift! Print on white card stock (you can add the name on the back) and tie with ribbon or baker’s twine for a look that’s sure to impress. 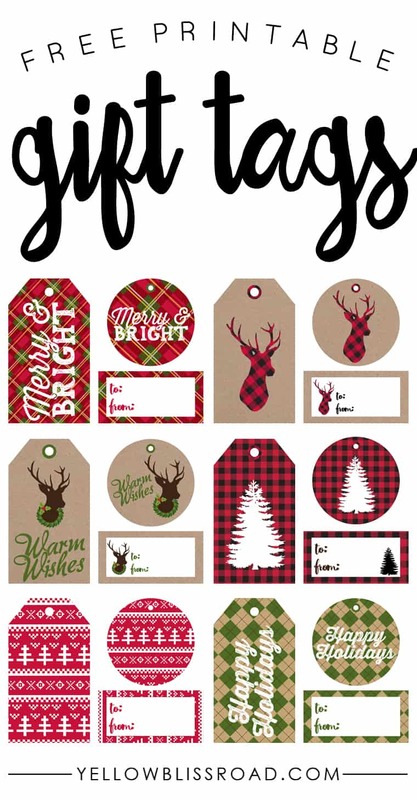 I just adore these cute retro Christmas gift tags from Skip to My Lou (plus I love the name of that blog!) A fun accent that works especially well on children’s gifts. 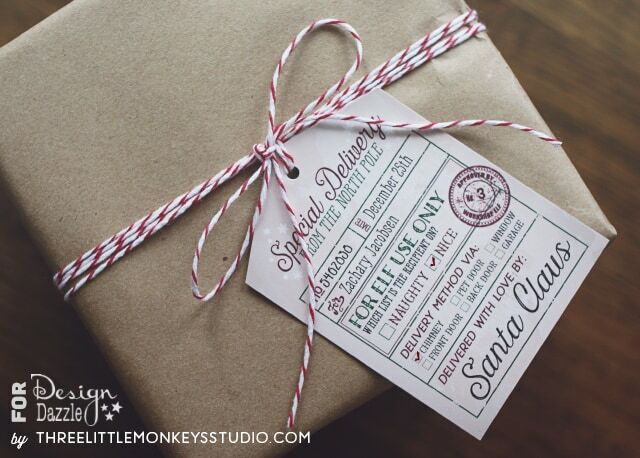 What child wouldn’t be thrilled to wake up to special delivery packages from Santa on Christmas morning? You can personalize the name and date fields using Adobe Reader, or just hand-print the information if you’d prefer. Get instructions at Three Little Monkeys Studio. 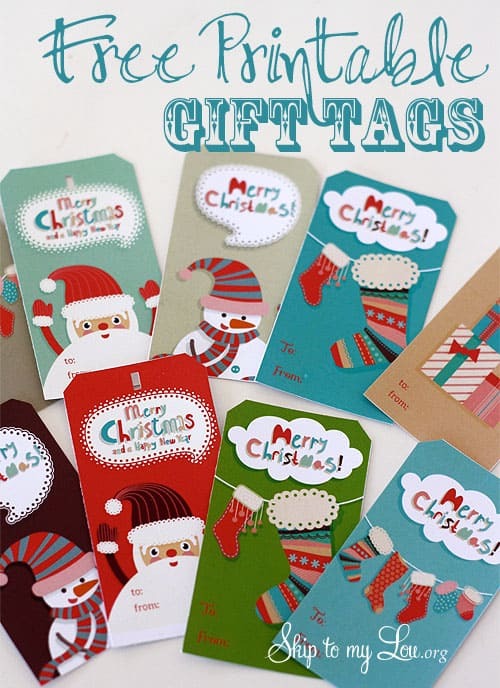 Darling rustic and plaid gift tags from Yellow Bliss Road add a colorful pop to your presents! 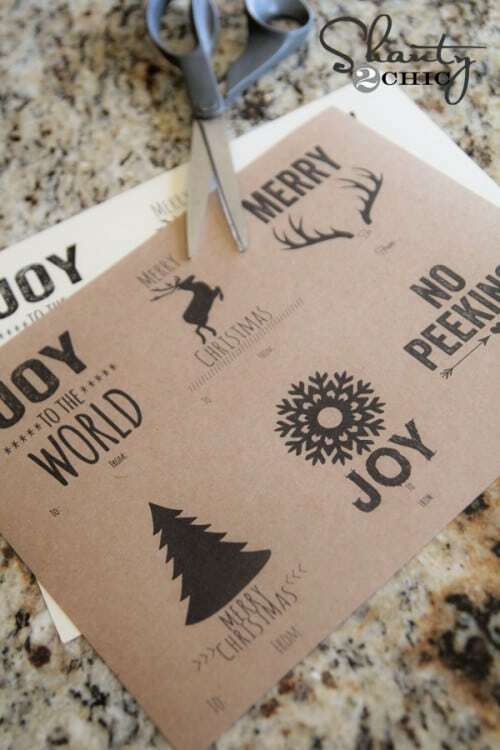 The smaller tagsare just the right size for taping to the outside of your Christmas gifts. The round tags are ideal for bottles or round-gifts. 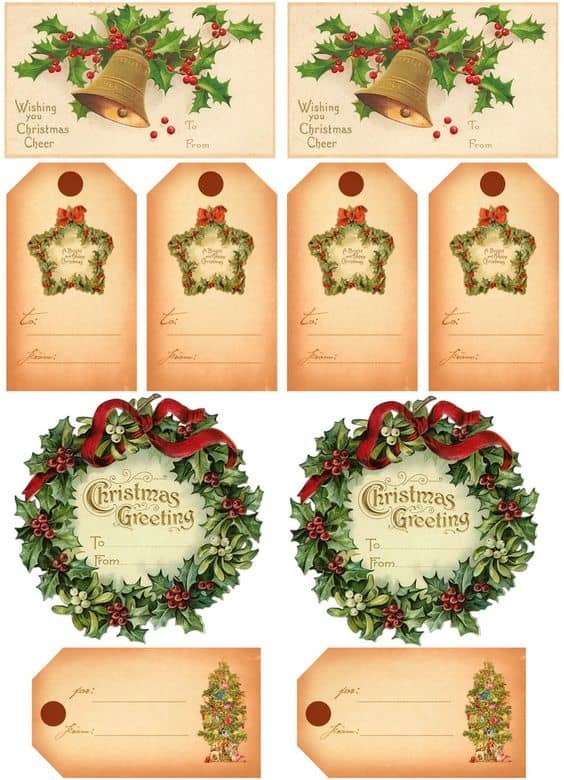 Don’t you just love the rich colors and ornate details of these vintage Christmas gift tags? A spectacular way to add an old-fashioned touch to your Christmas presents! Giving a gift that you crocheted or knitted? 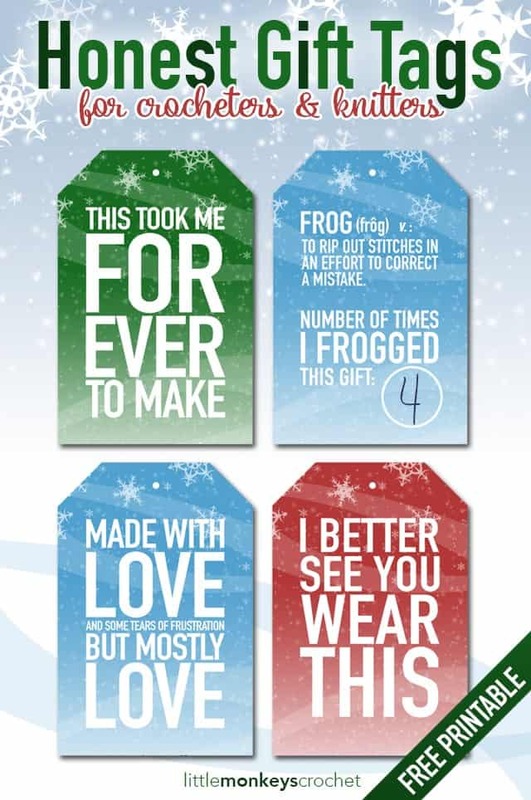 Then these honest (but oh so funny) gift tags for crocheters and knitters are the perfect attachment! 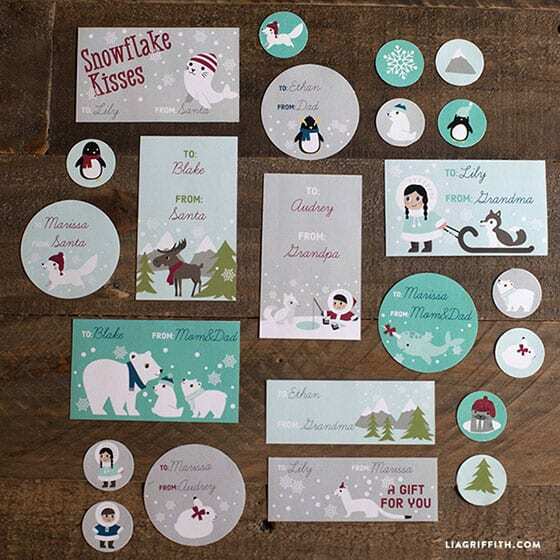 These polar themed Christmas gift tags are just so sweet! There’s a tutorial on the site if you want to print the names on the gift tags, but otherwise you could just download the tags and write the names on the old-fashioned way. All of your favorite Christmas characters appear on this set of delightful retro Christmas gift tags! 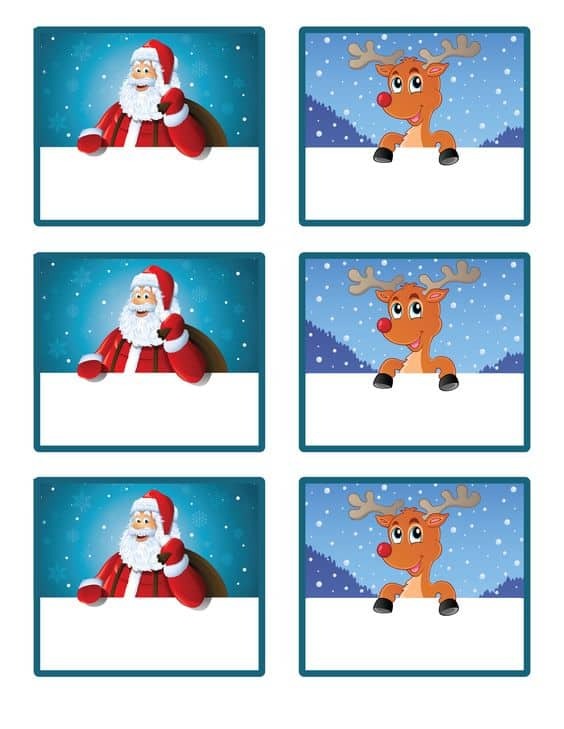 Thrill the kiddos on your Christmas lift with these festive Rudolph and Santa Christmas tags! There’s also a wonderful assortment of other fun tags on the site – definitely check it out if you’ll be giving gifts to children.